This tutorial is rated for beginner to intermediate level. 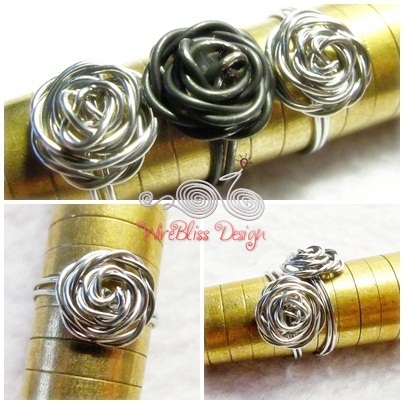 I am very sure anyone without wire wrapping experience would be able to make one of this ring. Allocate about 30 minute or less for this project. All steps and instructions are accompanied with clear close up pictures all the way till project completion. The material required is to the bare minimum - a piece of wire. The tools required are also minimum if you are not very particular. Check out the details here - Project description. Happy April and Happy Wrapping. Labels: Rings , Tutorials for a Fee Share it!